Numerical, management and business skills will help you keep a beady eye on your figures, as this business relies on scale and use. You’ll need to be hot on customer care and marketing because you’ll be competing against some big players. Why do you want to set up a van hire business? What sort of competition exists in your area? Why should people choose your vans rather than theirs? 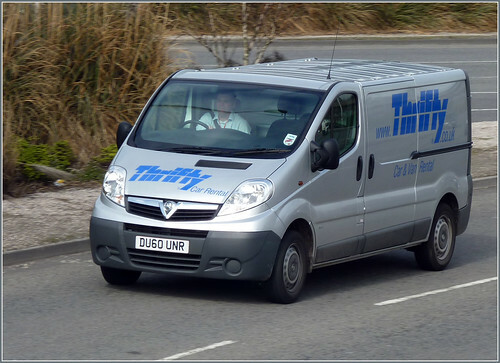 Is there enough trade to support another van hire business? Key to getting started – think about sales, profit and loss, cash flow and capital expenditure and you’ll be on your way to seeing how your business could work. You don’t need hundreds of vans, but obviously the more you have, the greater the earning potential. You could start with half a dozen – long wheel based Ford Transits are capacious, maneuverable and not too greedy on the fuel. Think about picking 3-4 year old vans at auction, updating them as and when you can afford it. Your fleet must be appropriately covered. Relatively few companies offer fleet insurance – it’s a specialist area – but once you find a broker experienced in self drive hire insurance you’ll be safe in the knowledge that they understand your business and will have a policy to suit you. Your broker can arrange motor trade cover, with third party liability insurance, management and claims cost control services. Purchase a standard rental agreement which a solicitor can amend. You may need a consumer credit license if any one of your vans is on hire for more than 90 days. Think about your target market. You’ll need to spend a certain amount on marketing to raise awareness of your business. Invest in a website. Get yourself listed in the Yellow Pages and on as many websites as you can. Build a database of contacts, distribute flyers and advertise introductory discounts and offers. Budget for keeping your vans in good condition – if any one of them is out of action you’ll lose money. You’re probably unlikely to have a resident team of maintenance staff so find a trustworthy repair shop and they may do you a deal. It’s a competitive market out there, so if you’re nervous of going it alone, you could become a franchisee, buying into an already established business. Your parent company will help with lead generation and marketing, which could be an excellent way of driving your company forward. Your start-up costs and overheads may seem steep. You’re going to need commercial premises to house your vans and you’ll need to work hard to keep them in use. There’s a growing market for van rentals, so fine-tune your fleet and your figures, offer a friendly and flexible service and you could be onto a winner. Posted by george on Mar 23 2012. Filed under Blog. You can follow any responses to this entry through the RSS 2.0. Both comments and pings are currently closed.